Please contact Jennifer Blades for further information on these offerings. 7 year old, 17 hand bay TB gelding. Currently showing in the baby greens. Wins at GLEF. Honest, sweet, easy going. Could be finished by Junior or Amateur in a program. Competeing at the Retired Racehorse Project in KY 2017. 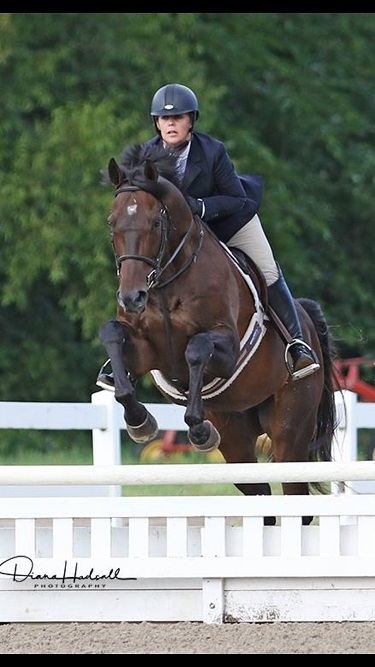 EVERYDAY LETTUCE is a 2012 Great Britain bred gelding. "Lettuce" is very sweet, cuddly and has a lot of personality. Lettuce raced as a two-year-old under the name Abscent Friends in Great Britain and had 5 starts with 1 win, 2 seconds and 1 third place finishes. He was exported to Hong Kong and first raced there May 27, 2015. Lettuce raced 11 times in Hong Kong and last raced on November 23, 2016. He is microchipped. 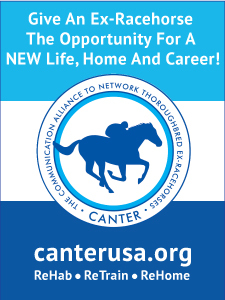 Part of the Canter program. "Mamoo" a 2009 dark bay mare, 15.2 hh, is VERY NICE! She was foaled March 22, 2009 and is by Yonaguska out of Big Ma Moo by Sir Cat who was sired by Storm Cat. Happy, Friendly, Enjoys JUMPING. Forward thinking, sensitive to hand and leg aides. Prefers advanced rider. Bloodline includes Storm Cat, Private Account, Secretariat. Mamooguska raced 54 times earning $64,451 in her career. Last race July 19, 2017 at Thistledown. Part of the Canter program. XANTO is a 16.1 hh Kentucky bred gelding foaled January 22, 2013. His sire is Gio Ponti and his dam is Obsequious by 2000 Kentucky Derby winner, Fusaichi Pegasus. 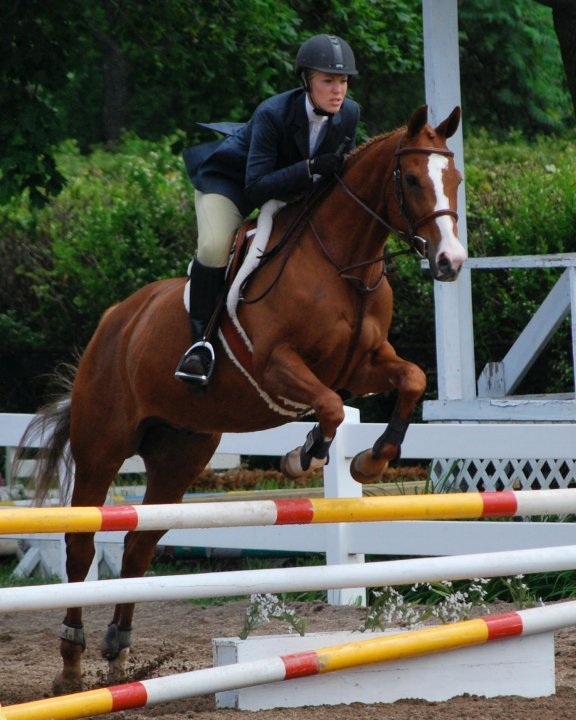 He is best suited for flat work, Dressage and trail riding. He last raced December 28, 2017, at Fair Grounds. He raced 15 times earning $26,250 in his career with 2 first and 3 second place finishes. His bloodlines also include Storm Cat on both his sire's and dam's side and many other important Thoroughbreds. Part of the Canter program. "Yo City Lady "Lady" was foaled April 12, 2013 in Indiana by City Weekend out of Yodeladytoo by Swiss Yodeler. 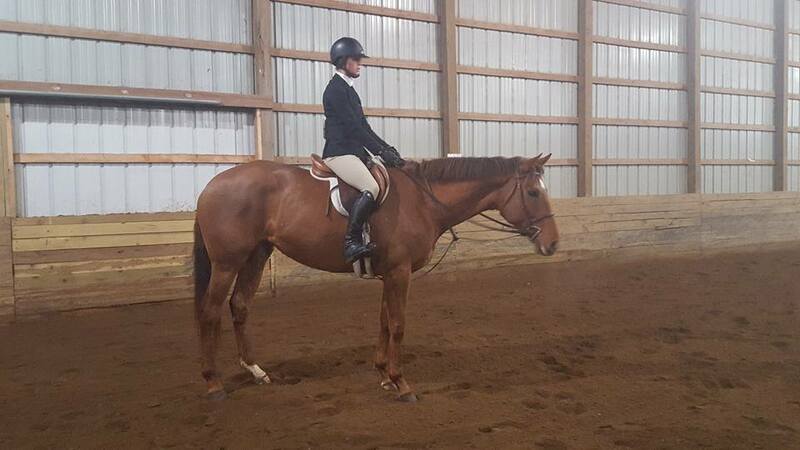 Lady is 15.2 h Chestnut Mare. Lady rides nicely and is a pretty mover with good conformation. She is quiet, easy going, sweet and willing to learn and has no vices. Lady had 10 starts with 1 second and 2 third place finishes earning $16,645. Her last race was on October 19, 2018 at Indiana Grand Race Course. Her bloodline includes Northern Dancer, Bold Ruler, Wild Again, and Secretariat. Part of the Canter program. 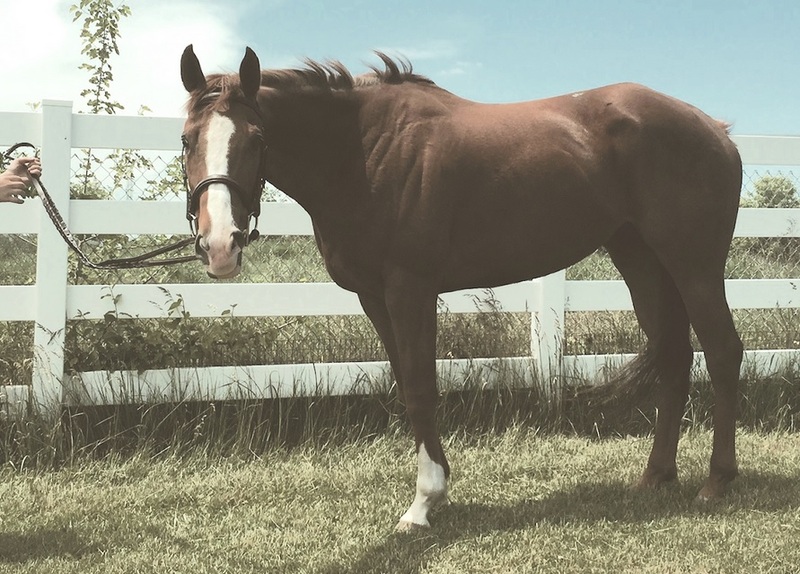 WARRIOR INSIDE is a Kentucky bred bay gelding who wants to be your next partner. He can do it all and he is eligible for the 2019 RRP. 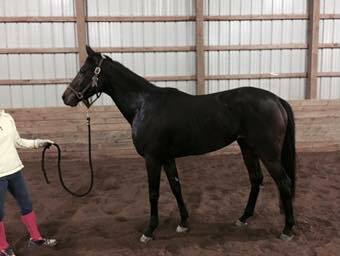 Warrior is another Tim Glyshaw horse out of Kentucky who is doing great! Overall he is pretty quiet, willing and steady, especially for such a young horse. A very friendly and curious type horse that always has his nose in your pocket. He has an easy-going disposition in that he has been well-behaved. He wears a crib collar. He sold for $9,700 at the Fasig-Tipton Kentucky Fall 2016 Yearling Sale. Part of the Canter program. Bellissima, or "Hannah" is a 13 Year old, 16.2 hand bay roan Canadian warmblood mare with blaze and three tall socks. She is by Asher (trakehner) out of Carthaga (Holsteiner). A very quiet and pretty mare, needs little prep or maintenance, goes in a happy mouth bit, and has shown crossrails thru the 3 foot children's hunters sucessfully. 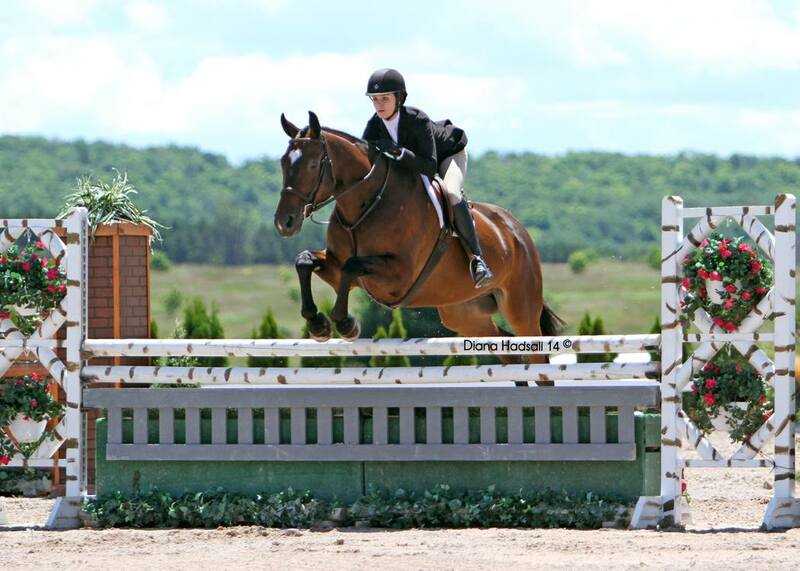 In 2017 was champion in the Children's hunters at GLEF (hack winner also), and won the hack at the Children's/AA championships at Balmoral this summer as well..
Chancellor, or "Cody" is a 14 year old 17.3 hand chestnut Hannoverian gelding. 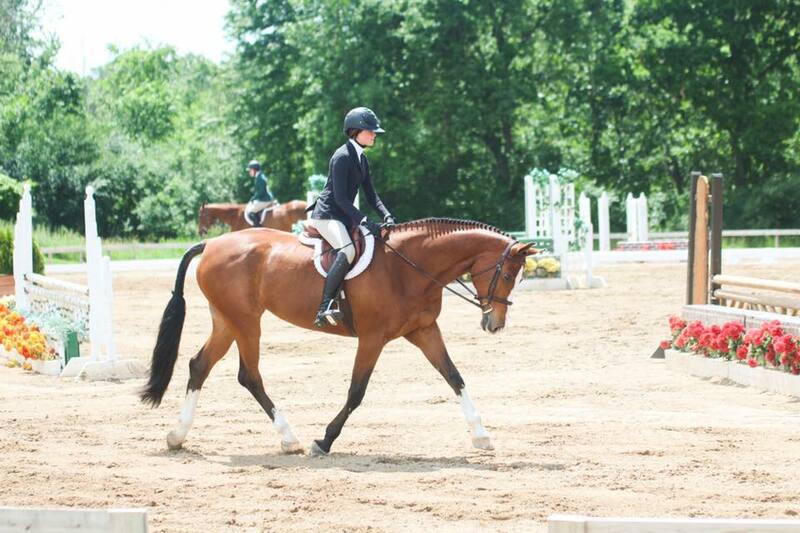 He is currently working dressage, and loves trail riding. 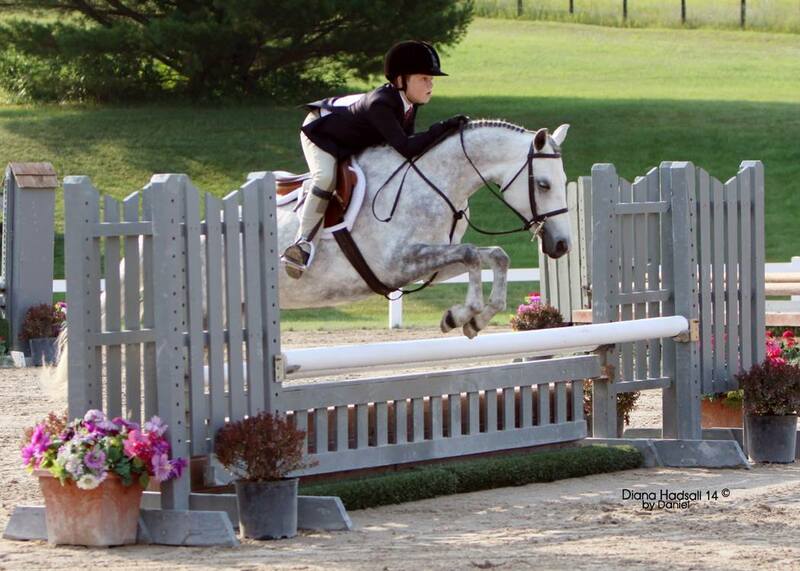 Eight Year old 14 hand grey WB cross pony mare. Cute, sweet, lots of step and scope. 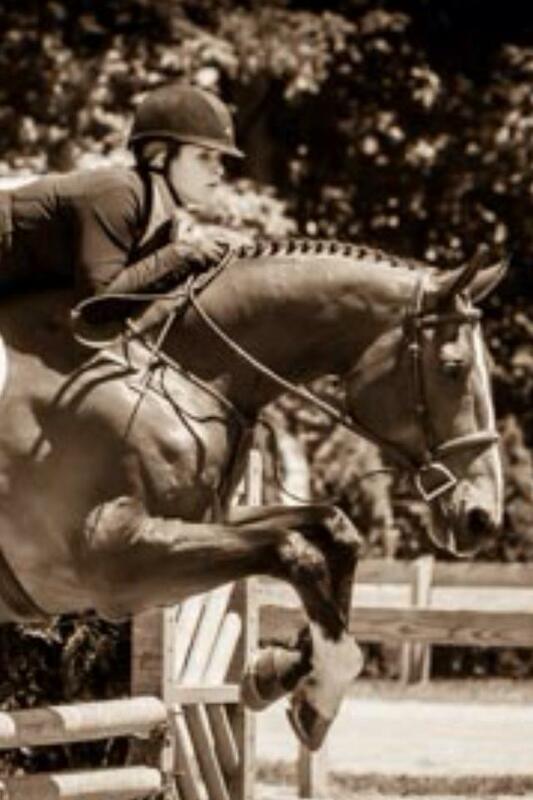 Good lead chnage, honest to the jumps. 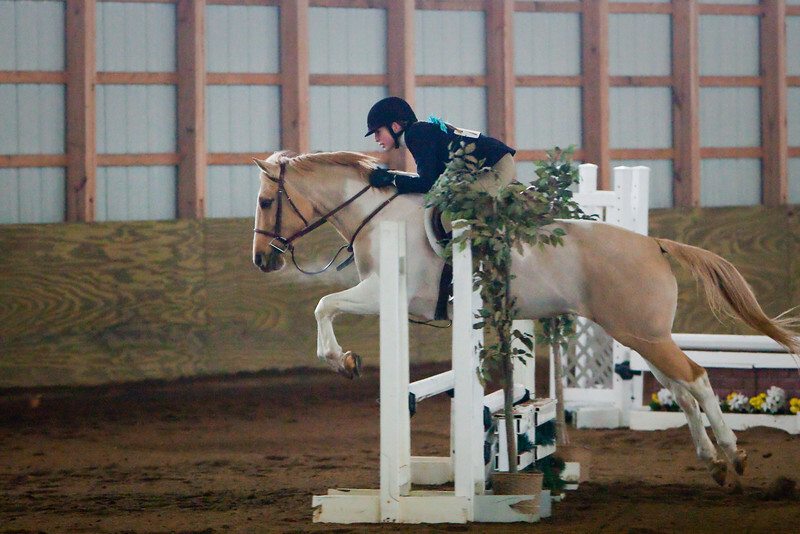 Very competative pony. 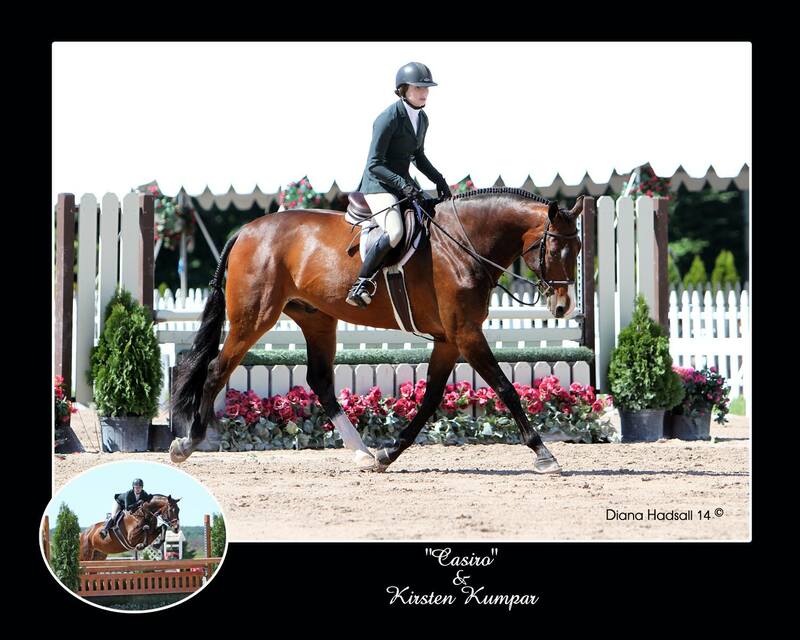 Has shown at local and USEF shows in short stirrup thru the open/eq divisions. 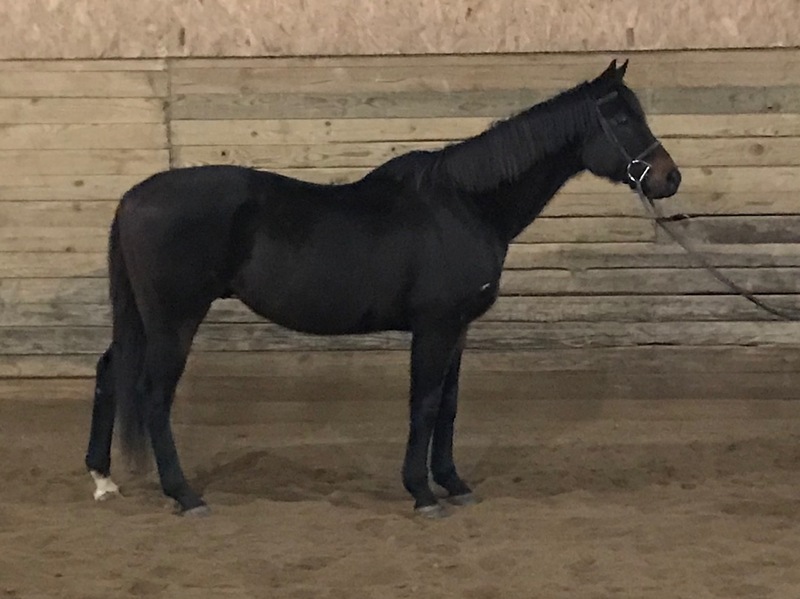 year old 15.2 hand dark bay TB mare. Well put together and typey. More forward thinking temperment. Has Storm Cat in bloodlines. Cribs. Part of the Canter Program. Great form over fences $1,000. 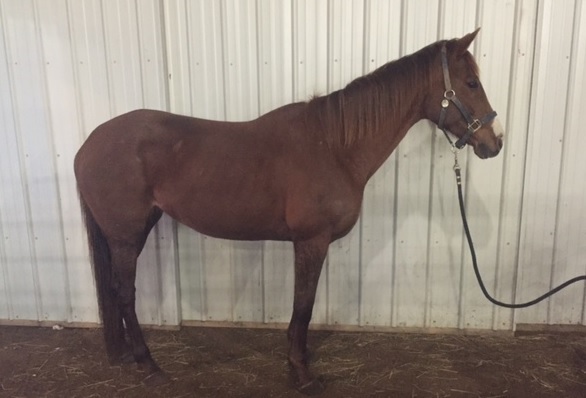 3/31/12 16.1 hand bay TB gelding. Good mover, pretty quiet and easy giong. Nice horse, raced 12 times. Won his lkast race on 11/15/16 at Mountaineer. Earned $27,990. Sold as a yearling for $140,000. Sire is Candy Ride (ARG) vy Storm Cat. Dam is Great Design. Has Secretariat in bloodline. Part of the Canter program. 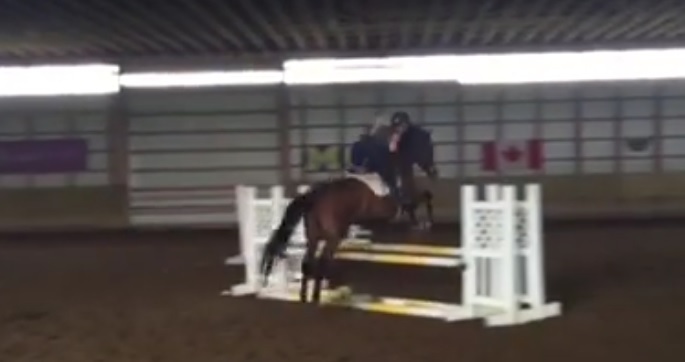 9 year old 16.3 hand bay TB gelding. 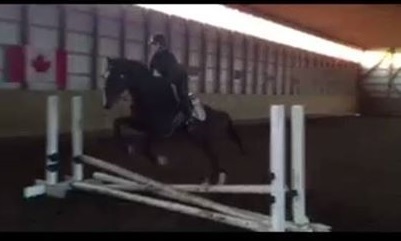 has shown in the 3' jumpers/eq. Has also been used in IHSA shows. Champion at GLEF at low child jumpers. 7 year old (1/3/09) 15.1 h quiet chesnut TB mare by Binalong. Bloodlines include Alydar and Nasrullah. Raced 19 times., last race 9/9/16 at HP. Quiet and easy going. Part of the Canter program. $1200. 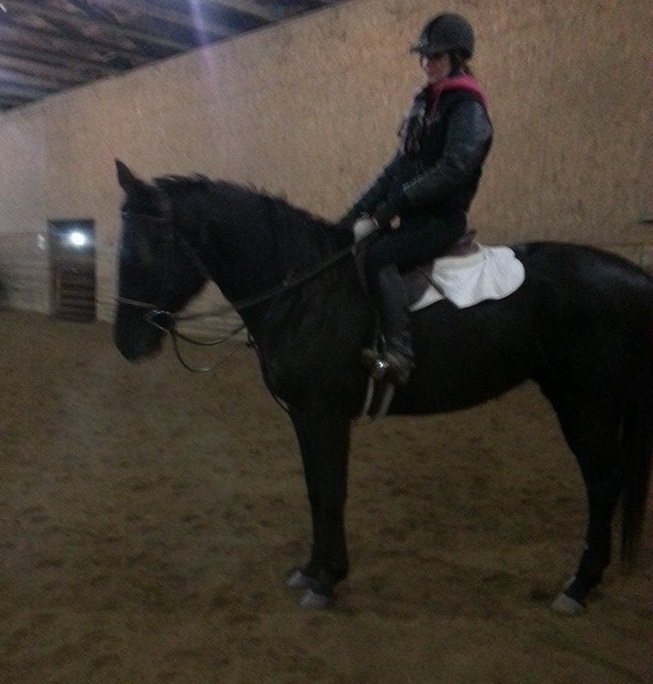 5 year old (2011) 16h black TB Gelding. Raced 32 times, last raced 9/24/16 at HP. Likes to jump and shows good form. Willing. Cribs. Part of the Canter Program. $1500. 6 year old 16h bay with socks. TB gelding. Easy going. Great trail or dressage prospect. Frames up well but sometimes forward thinking. Very curious, in your pocket type personality. 2006 16.1 h dark bay gelding. Quiet and easy going. Started over fences. Seretariat. Seattle Slew and Storm Cat in bloodlines. 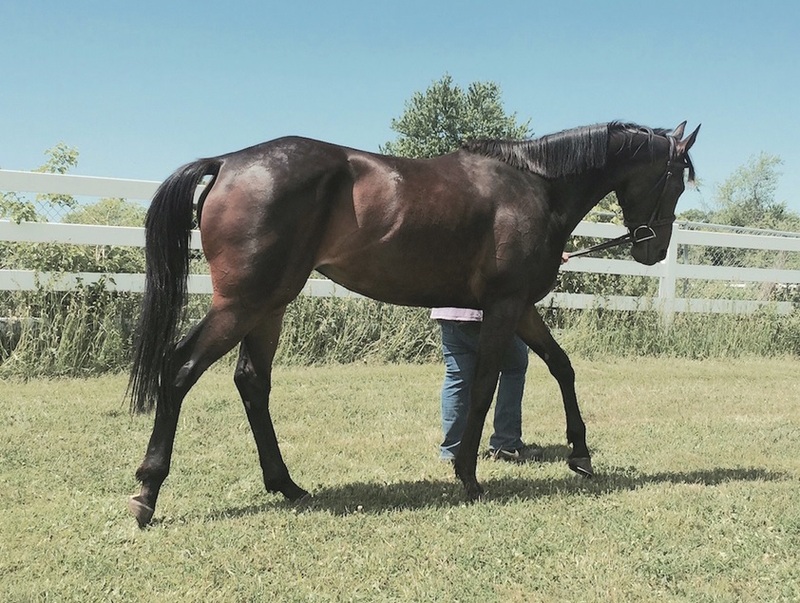 Seven year old unraced TB mare. Currently showing jumpers. Easy to mantain, only needs a few training rides here and there. Easy to flat for the junior or adult rider. Forward thinking, fun to ride. 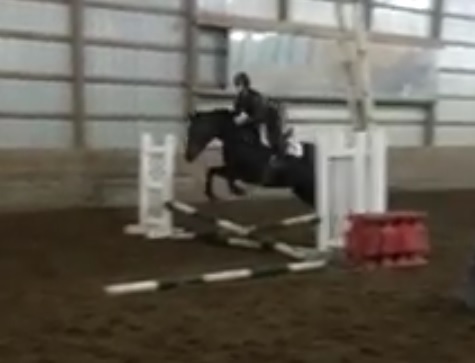 5 year old 17h bay TB gelding. Will be fancy, quiet and sweet to ride. Just started over fences. 8 yr old, 16.3h, chestnut TB gelding. Very reasonable to work with, started over fences. Sweet and loving on the ground. Part of the Canter Adoption Program. Sound. 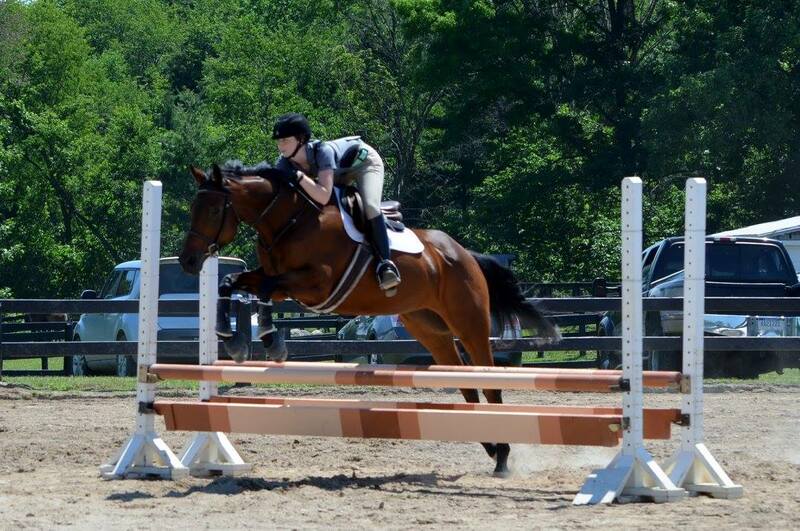 Good mover, nice jump, sweet, fun to ride, will be a nice project horse for someone to finish. Great lead change. Now showing in baby greens. Seven year old, 2009 16h KWPN Gelding by VDL Silverstone. 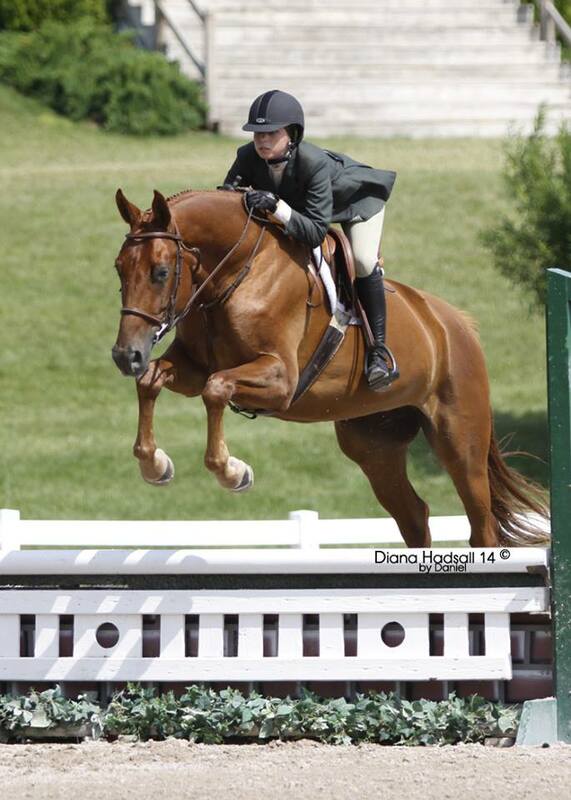 Has shown in 3' hunters, 2014 Baby Green Hunter ribbons at Ledges Fall, Equifest & HJAM. Quiet and easy going, has a nice jump and good change. 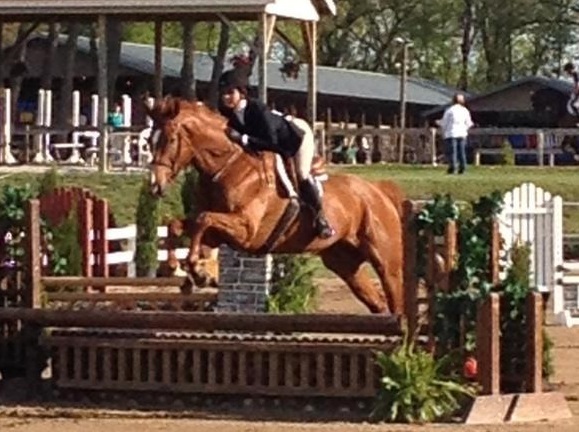 12 year old 17H bay warmblood gelding with socks and blaze by Popeye K. Very quiet and talented. shown from 2' to 3'6" at the royal winter fair. Competitve horse. - 5 yr old, 16.1h, bay, TB gelding. Quiet, sweet, honest, brave. Jumps around & swaps his leads. Ready to go do the baby greens this summer. 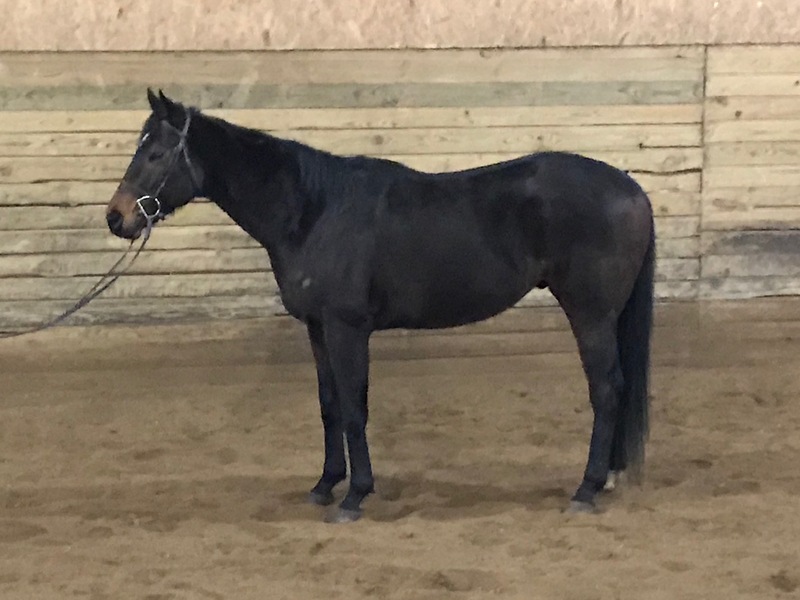 5 year old 15.3 H, dark dapple grey warmblood mare. Very cute, jumps around, honest and swaps leads but still green. 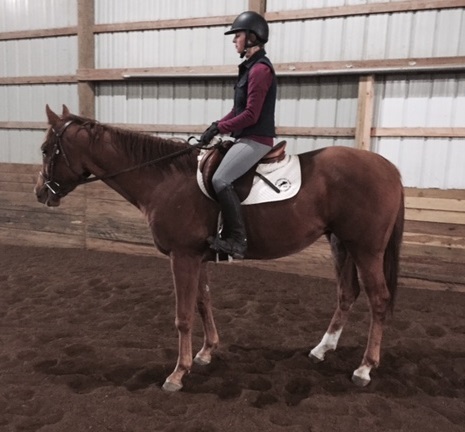 7 year old chestnut warmblood mare 16.2H. Beautiful mover and quiet, well bred out of Rio Grande mare. 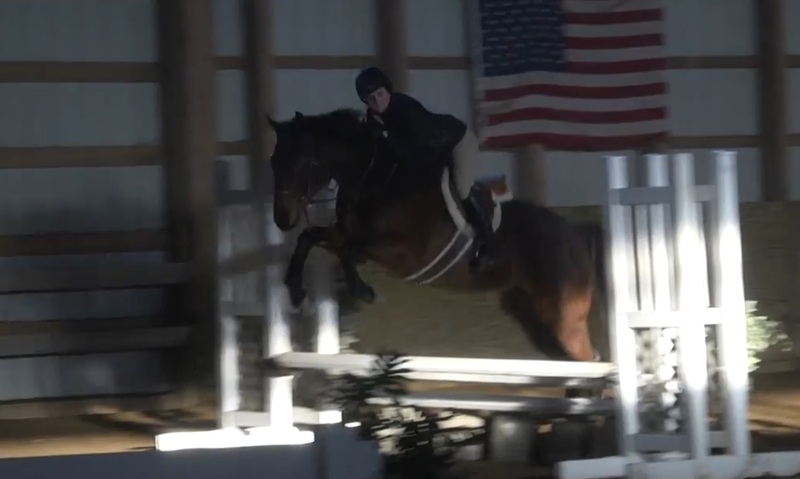 This mare will go far in the hunter ring, will do 3'6",. Ready for the pregreens. 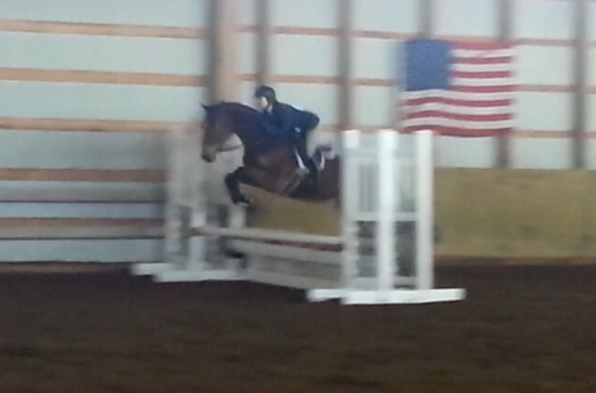 lots of scope, walks over the 3'6", big step. Nice horse for all three rings. 17 Year old, 16 hand chesnut TB Gelding. Many year end awards on MHJA and Lake Effect Circuits. 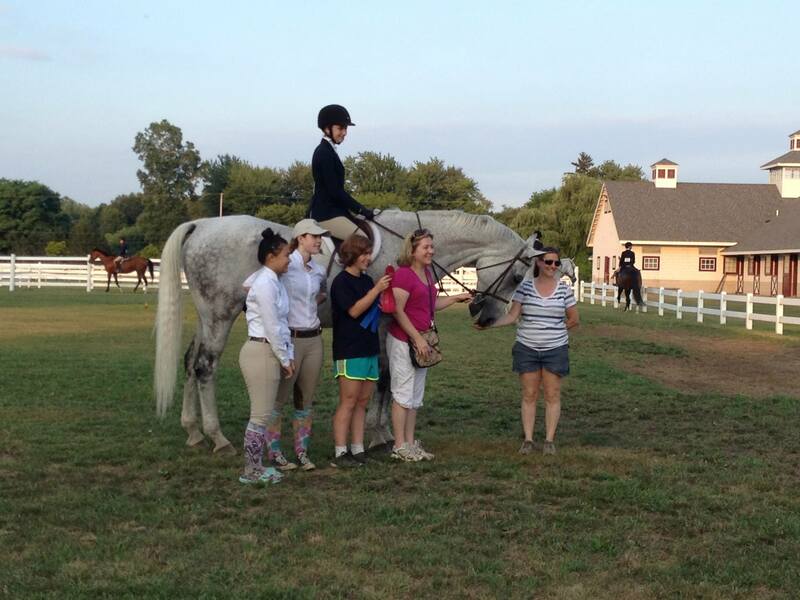 Wonderful first horse, the horse everyone wants to learn to horse show on. Can't say enough good things about this guy. 7 year old 17.1h Holsteiner gelding. Quiet, simple , honest and forgiving. Usually wins the hack. Currently showing the 3'3� pregreens, A/O's and national derbies. Very talented and easy horse. 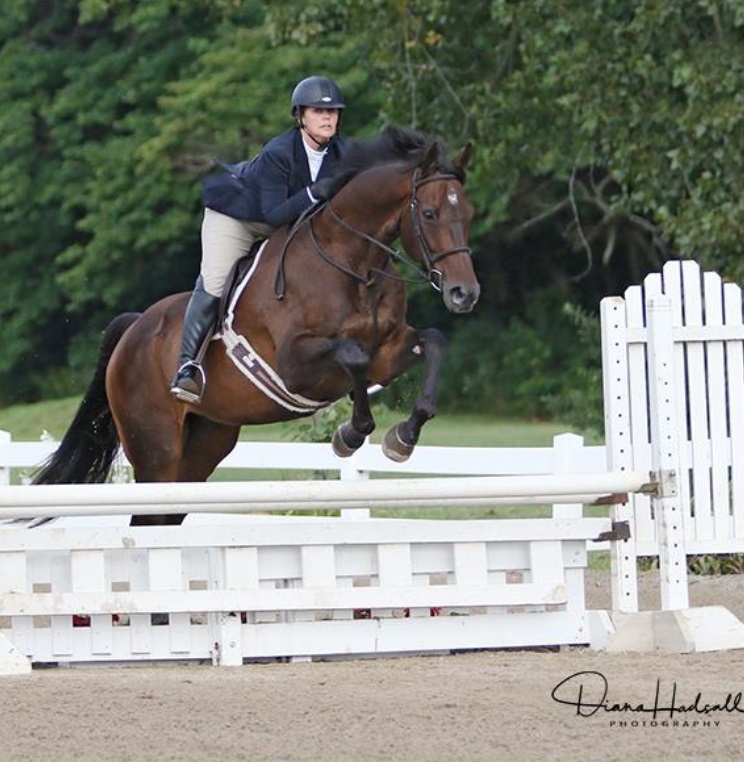 8 year old 16.3h, bay Hanoverian gelding. Quiet, easy. Will do the 2'6�- 3'6�. 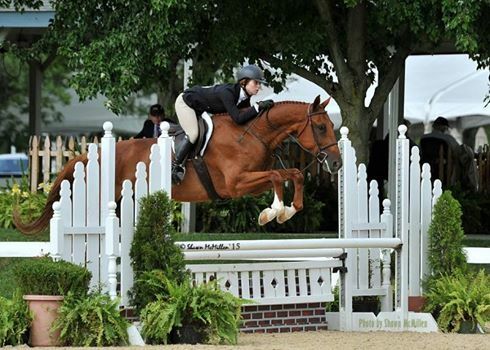 Currently showing the jr hunters /medal/maclay/hunter derbies. Honest, no prep. Owner off to college. 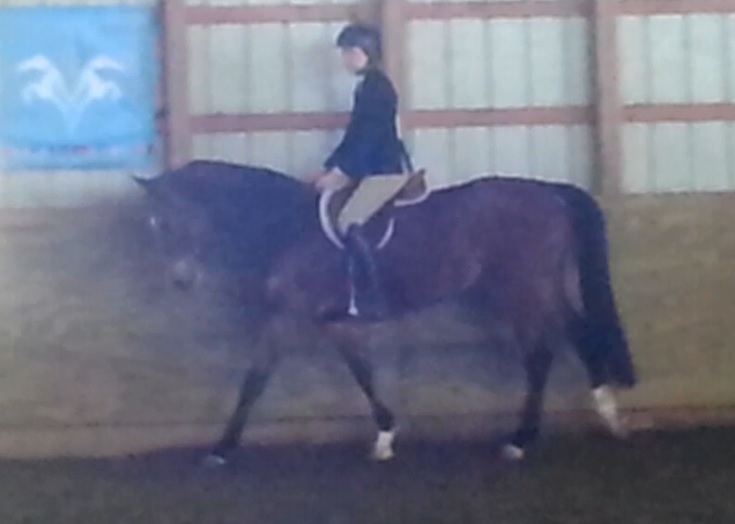 7 yr old, 15.2h, bay, TB mare. Started over fences, has a great lead change, lots of step, cute jump/form, fairly quiet & good on trails. 9 Year old, 16 Hand, chestnut TB gelding. Cute with white markings. 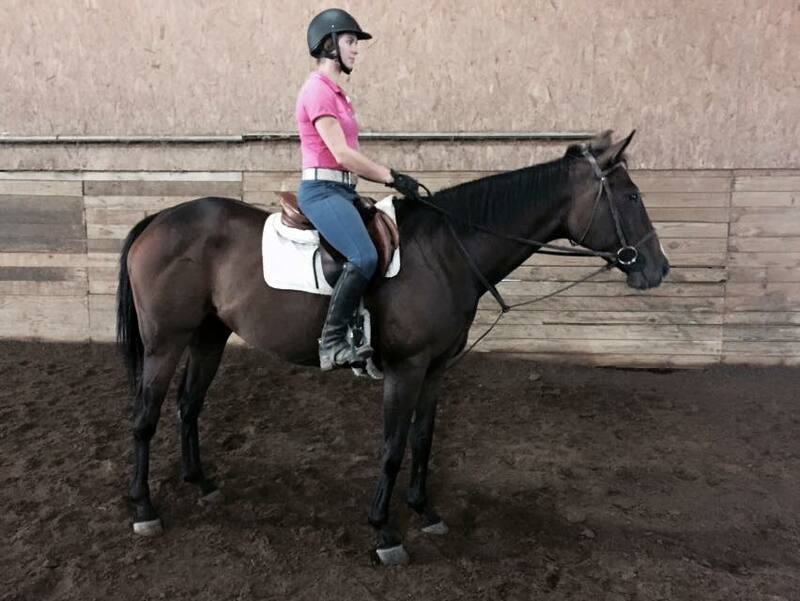 Marley - 14 yr old, 16.2h, bay TB/Hanoverian gelding. 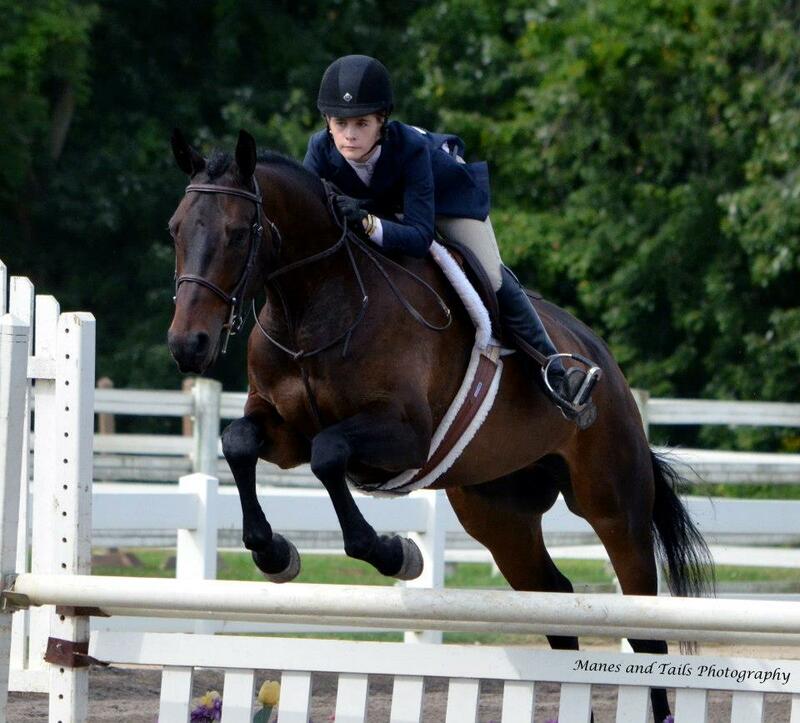 Nice 2'6 horse, has shown, could also do dressage and loves trail rides. Reasonably priced under $10k. Adorable pony. 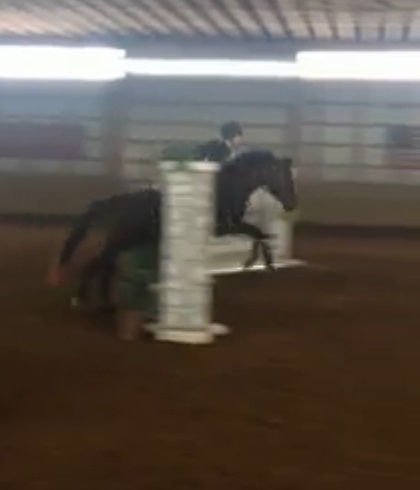 Jumps to 2'6", easy changes. Perfect pony to take rider from crosspoles on up. 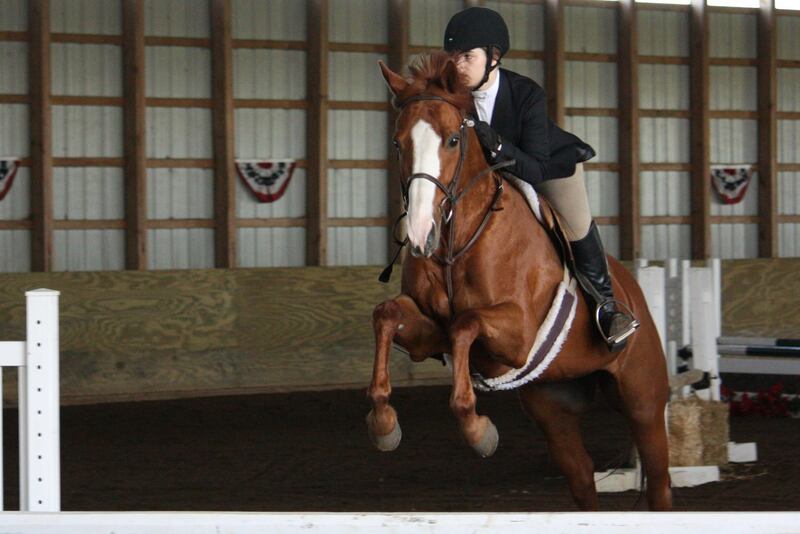 Lots of show miles , rider has sadly outgrown. Been there, done that. Latte is ready to teach another rider. 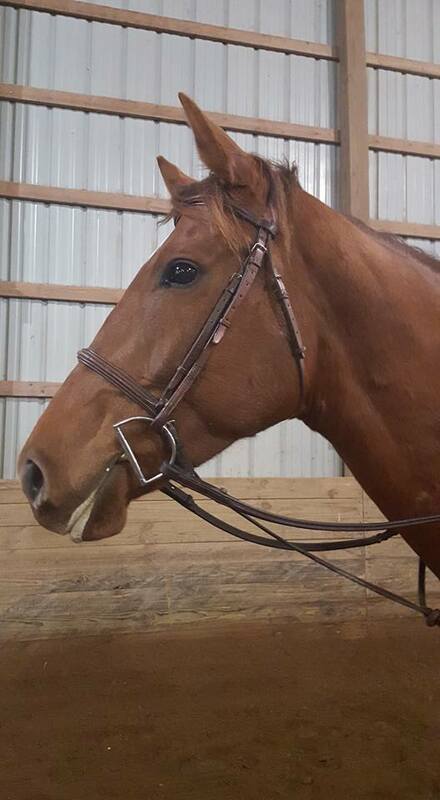 6 year old bay TB gelding. 16H but long bodied. Super quiet. He has been shown in the baby greens this summer, and has a good lead change and an easy going personality. 6 year old 16.1 dark dapple grey TB gelding. Sweet, quiet and friendly. Just started over fences, has a lead change. Will be easy to finish, a very fun project. 7 year old 16.3 bay tb gelding. Nice mover, great personality, put together well . 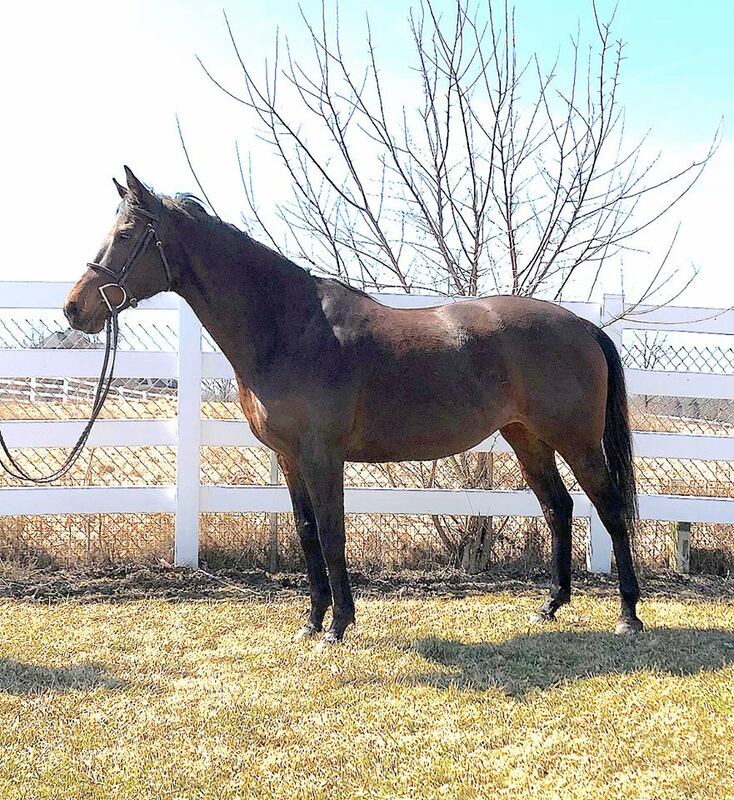 dark bay Hanoverian cross Gelding. Lots of show miles, easy to ride. Will take someone from crossrails through the childrens divisions at the "A" shows. Always a top ribbon in the hack and very comfortable to ride. Very sweet to handle. Honest to all the jumps. Showing in the baby greens, reserve champion at woodbine "A" in June and August. Will be able to do the bigger jumps and be a very nice horse when finished.